Hope currently has 83 international students from 38 countries on five continents. 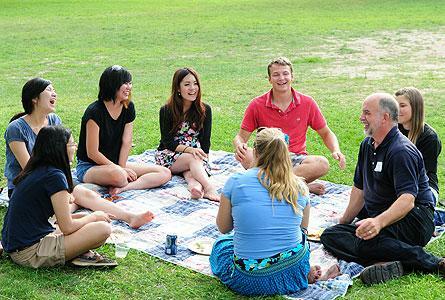 In addition, the college also hosts students from unversities in Japan and the United Kingdom for short-term programs. A pre-orientation adventure trip conducted through Hope's international education office, called Explore Michigan, helps the international students adjust to their new "home".